Haven't received anything? please contact support@easyslots.com for assistance. In Showdown Saloon there are no laws, anything goes, which goes for just how much you can earn in this one outright! You’ve played Red Dead Redemption 2, now come check out the Western frontier with massive cash implications courtesy of Showdown Saloon from developer Microgaming. This 5 reel by 15 pay-line slot is not one for the faint of heart, as you will be running these reels from as little as 20p to around £100 per spin, perfect for those looking for reasons to stick around and spin for an extended period of time. We should also mention that although this game is set in the Old West, that does not then mean that it isn’t mobile optimised either. Be sure to check out the rest of EasySlots written review below for additional information! Mystery Stacks: With this feature, with every reel, you will find one single mystery symbol, and with every spin, an additional mystery symbol will be added. These symbols are random as far as what they offer, meaning with each completion they will offer something different/unique to the player! Re Spin: The fact that you can re-spin symbols means that you have another chance at coming away with a win that you might not have had before! How these re-spins operate depends on the symbols you have on the reels outright; the more you play the more times you’ll have to re-spin. With many more slots promotions and bonuses available on Easy! 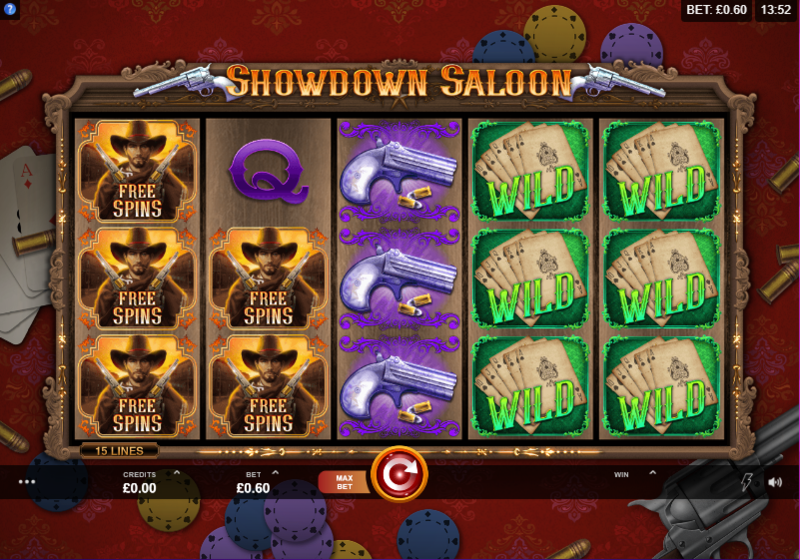 Showdown Saloon is one of the better Wild West slots out there for one to choose from, its fast-acting gameplay do a great job in keeping you fixated at the screen with each and every spin you partake in. Microgaming have yet another hit on their hands it seems! Be sure to check out this slot today, and get to live out all of your wildest cowboy related dreams! 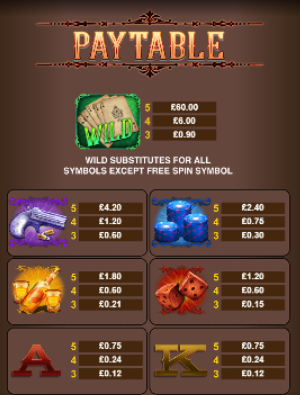 If you enjoyed Showdown Saloon why not try some more top casino games on Easy. Easy Slots is operated by Jumpman Gaming Limited which is licensed by the UK Gambling Commission ('UKGC') for customers in Great Britain and the Alderney Gambling Control Commission ('AGCC') for customers outside of Great Britain. All games on Easy Slots are regulated by the UKGC or both the UKGC and AGCC. Registered business address (no correspondence): Inchalla, Le Val, GY9 3UL, Alderney.